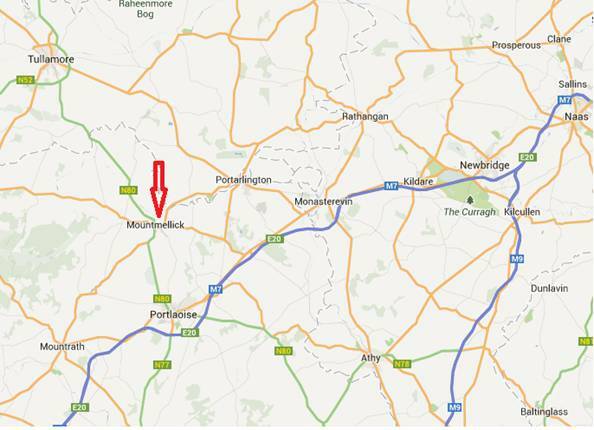 Exit M7 at Junction 15 signposted “Mountmellick-Portarlington”, follow signs for Mountmellick through EMO Village. In Mountmellick, follow signs to centre of town, pass town square on almost on your right is the Forum building. Take the first left after the square, continue down and take first left and enter rear access to private parking behind the Forum building. 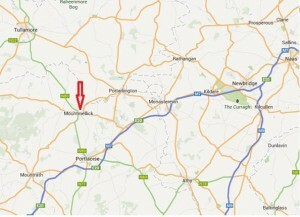 Exit M7 at Junction 15 signposted “Mountmellick-Portarlington” follow signs for Mountmellick through EMO Village. In Mountmellick, follow signs to centre of town, pass town square on almost on your right is the Forum building. Take the first left after the square, continue down and take first left and enter rear access to private parking behind the forum building.